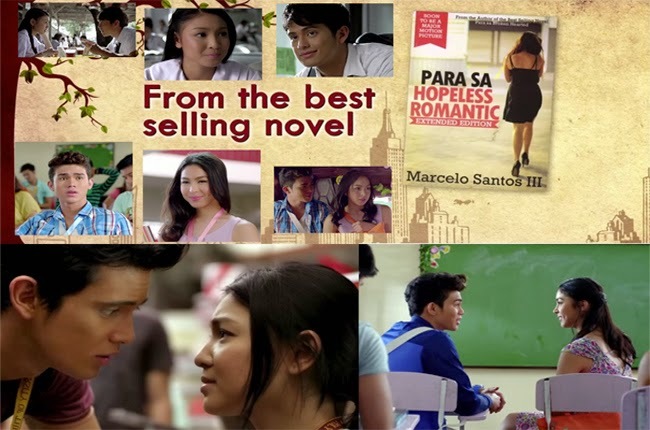 Star Cinema finally released the full trailer of ‘Para Sa Hopeless Romantic’ starred by the Kapamilya couple Nadine Lustre and James Reid. The story will not only feature by the tandem JaDine, but will also showcase the new love team of Julia Barretto and Iñigo Pascual. Written by Marcelo Santos III, the movie ‘Para Sa Hopeless Romantic’ is JaDine’s third movie derived from a Wattpad bestselling book. Their previous movies, "Diary Ng Panget" and "Talk Back and You're Dead," had been blockbusters, making fans express their excitement since the project had been introduce late last year. ‘Para Sa Hopeless Romantic’ circles around the story of Rebecca, played by Lustre, and Nikko (Reid). Through highschool, Rebecca and Nikko seemed to have the most romantic love story, until Nikko suddenly split up their relationship. Overcame by the pain of the break up, Rebecca decided to write a love story about Maria and Ryan portrayed by Barretto and Pascual. Rebecca had chosen to give Maria and Ryan a devastating ending just like her own story. As time passed by, Nikko expressed that he still loves the young writer. Will the two couple have their happy ending? Directed by Andoy Ranay, Lustre and Reid will also be joined by AJ Mulach and Shy Carlos as a new onscreen love team though their parts are clear on the trailer. Netizens expressed their excitement over the movie which will be on the big screen on March 11, 2015.